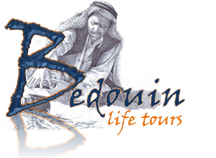 Bedouin Life Tours, which has enabled us through the years to work as an Incoming (DMC) and Outgoing Tour Operator. their expectations in order to reach their maximum satisfaction, as we continue to do so. Here at Bedouin Life Tours, we handle all kinds of tourism services such as leisure, archeological, eco & adventure, religious, medical, and MICE tourisms. Guides: Our services always include Licensed and professional guides in any language, as well as experts who can lead a lecture or presentation about certain archeologist requests you may have. 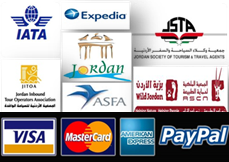 Hotels: We deal with all the hotels in Jordan (5*,4* 3*). Almost all hotels in Jordan have the facilities you may need such as meeting halls with equipments required, internet services, health clubs etc. Transportation: we provide all types of modern air-conditioned vehicles for sightseeing and transfers (Limousine, small cars, Vans, buses up to 50 passengers capacity). Whatever your interests are, Bedouin Life Tours is sure to offer activities and experiences to match them. Our high commitment to customer service and dependability makes BLT a unique experience in traveling. We provide our clients with professional quality service at the best possible price available in the marketplace. All inquiries are personally handled by our staff to create a proposal that meets the specific needs and requirements for each of our clients. The main objective of each tour is to provide an extraordinary travel experience with the value of group-rate prices.